Bed and breakfast in Kathmandu and Nepaljung. All meals and camping accommodation after that. Trekking in lower Dolpo gives tourists an exposure to one of the hidden wilderness in the earth. 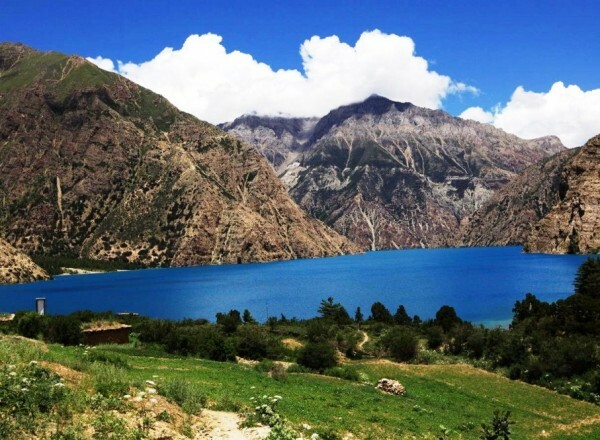 Dolpo region both the lower and upper is full of Buddhist monasteries and overwhelming for adventure loving trekkers. The lower Dolpo lies in the northwest part of Dolpo region. 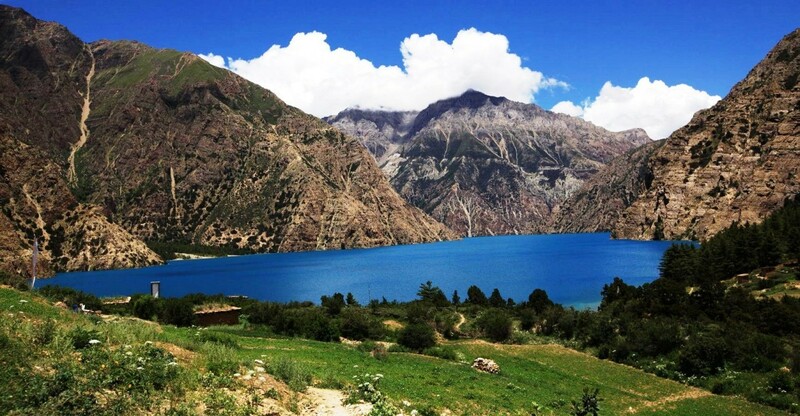 It is one of the most remote places and is also known for its high mountain Lake Se- Phoksundo. It is located inside the Shey-Phoksundo National Park in mid-western Nepal, behind the Dhaulagiri massif, towards the Tibetan plateau. Shey Gompa and the rest of the huge park that covers 1,373 sq. km above the sea level, Phoksundo Lake is still restricted. 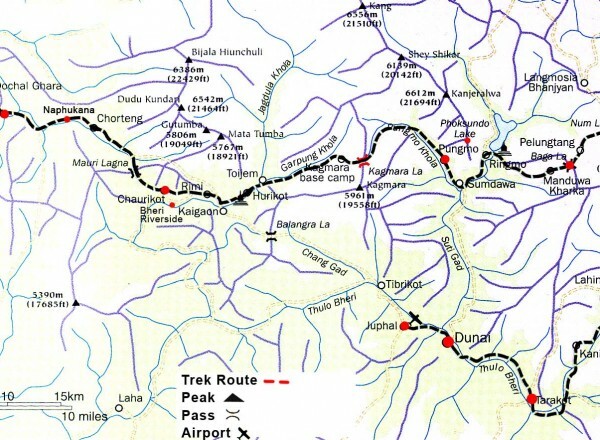 Therefore, requires special trekking permit from Kathmandu to enter both the upper and Lower Dolo region . Lower Dolpo trek offers opportunities to visit ancient villages, high passes, beautiful Lakes, isolated Buddhist monasteries and also to experience the vast array of wildlife inhabiting the region, including Blue sheep, Mountain Goat, Jackal, Wolf and the legendary Snow Leopard. It is still remained one of the isolated corner, even though, for centuries people from Tibetan origin have continued to live, cultivate and do trading with Tibetans. 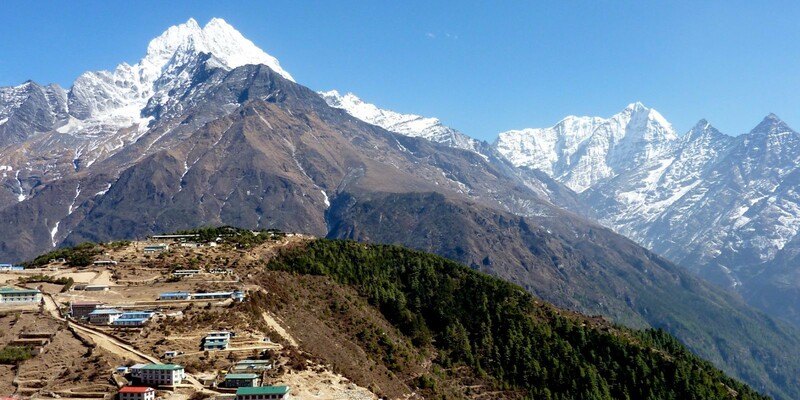 The east and south of it, is bordered by the Dhaulagiri and Churen Himal ranges and to the west by Jumla district. Trekking in Lower Dolpo proffers you the remarkable and worthwhile experience in your lifetime. Lower Dolpo is considered to be the most popular trek in western Nepal. The trail passes through Shey-Phoksundo National Park for which an entry fee should be paid in addition to the trekking permit fees. The most convenient means of reaching Lower Dolpo is to fly to Juphal airstrip, which is more four-hour walk from Dunai, the district headquarters of Dolpo. There are regular flights to Dunai from Nepalgunj and we, our team of managed its own route that best suit for tourists to make their journey a fondest and memorable in lifetime. Upon our arrival in Kathmandu, we will picks up you and transfer to hotel. Evening dinner and trip briefing. Today after breakfast you may do some sightseeing in Kathmandu or make the preparation of packing the things for your adventure trip to Dolpo. We will transfer to Domestic airport in Kathmandu for the flight to Nepaljung. The flight will be about 1 hour. Free in Nepaljungin the afternoon or evening. 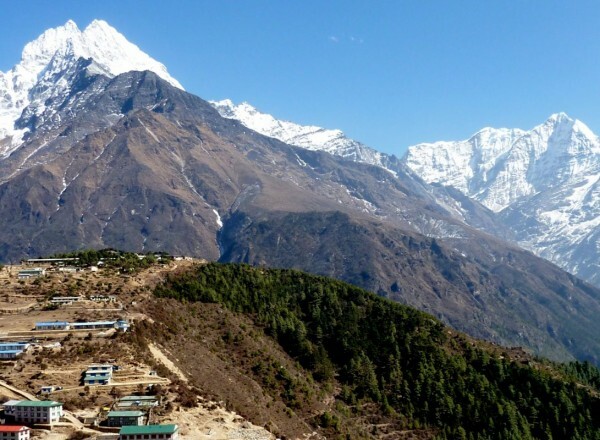 We will take early flight from Nepaljung to Juphal a beautiful town located over the Himalayan foothills, with views of Annapurna and Dhaulagiri peaks to its North. After meeting hit our local staffs we continue walking to Dunai which is the administrative headquarter of the Dolpo region where we have overnight today. After breakfast our trek continues along the southern bank of the Bheri River heading upstream on an easy trail. Along the way, we pass through several deep gorges, hanging bridges and isolated villages. Our trail also includes a tremendous gorge with pine trees and a path built about seven meters above the river. After walking for a while, we will be greeted by the colorful, terraced field of Tarakot, a small village that stands on a hillock to the south of the Bheri River. We walk alongside Tarap Chu river and cross it twice before reaching Sandul Gompa. The gompa lies at a juncture between Barbung Khola and Tarap Chu river. We continue walking on a trail that takes us through farm terraces and rural villages. After ascending and descending for a while, we finally reach Laini for overnight. We climb on a steep trail and walk along switchback above the Tarap River. The walk is quite exciting as the valley becomes a narrow gorge that in some places you can jump from one side to another. 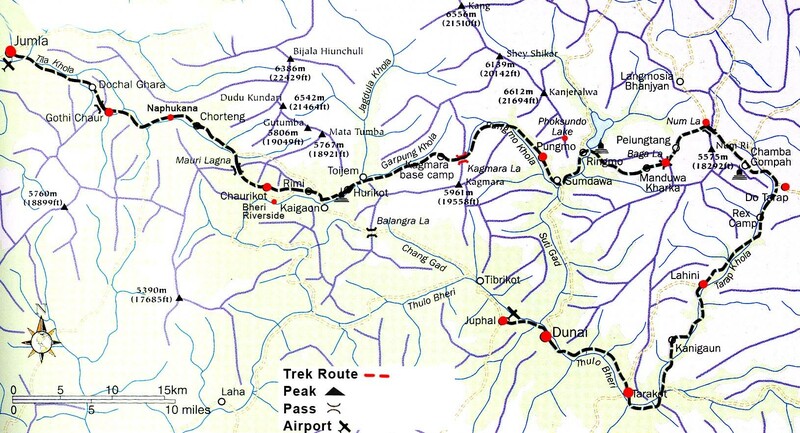 Several vigorous climbs and descents will take us to the banks of the Chyugur Khola, from where we reach Nawarpani. We begin today’s trek by gradually ascending to Kamattarka at the confluence of the Tarap Chu and Lang Khola. We cross a narrow gorge and leave the tree line behind us and welcome wild rose and juniper bushes, typical of the dry inner Himalayan valleys. After walking for several more hours, we reach the village of Dho Tarap which is surrounded by an irregular stone wall. In this Valley both Bon Po and Chaiba religious sects reside together. Tarap is also inhabited by a few Tibetans and mostly Magars who have lived here for many generations. The day off will assist with acclimatization and allow some bodily rest. We can spend the day visiting nearby monasteries. During today’s short walks, we also get a chance to get acquainted with the local culture. The Dolpo people wear homespun clothing that is sometimes dyed a maroon color and they favor Tibetan style somba or dhocha (boots with upturned toes) for foot wear. Both men and women often wear religious amulets and strings of coral, amber and turquoise. The people of the region are both Bon Po and Nyingmapa (Buddhist sects). We trek towards the upper Tarap valley enjoying views of lush grasslands on both sides of the river which is unique to this part of the inner Dolpo. We walk alongside Tarap Chu river and take pleasure in the amazing views of the vast Tarap valley with its wide plains and high mountains. A few hours' good walk takes us to the village of Tokyu which houses a Buddhist monastery of the Chiba sect. After exploring the monastery, we continue walking up the valley on a rough trail before reaching the Numa La Base Camp. After breakfast we begin our steep climb up to the top of Baga La pass. From here, we get fantastic views of the dry landscape and the distant snow-capped mountains including Mt. Kanjirowa. We spend some time at the top of the pass taking pictures and generally enjoying the mesmerizing views. Next, we descend to Dajok Tang for overnight. We trek downhill to Chepka. From Chepka the trail follows a massive overhanging rock. During our trek, we find many important medicinal minerals which are believed to cure almost anything in this area. The route then passes through villages, before climbing to Shyanta for overnight. We march towards Jhupal via Sulighat on a trail surrounded by birch trees. After reaching Jhupal, we can spend our afternoon exploring the busy market take rest. We take the earlyflight from Jhupal to Nepalgunj and connecting flight to Kathmandu. Arrival pick up at Kathmandu airport and hotel transfer. Free till deaprture.Our representative will drop to Kathmandu airport.